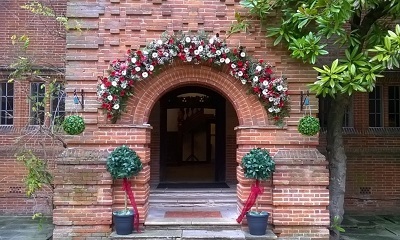 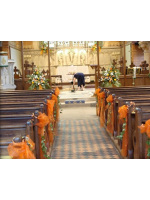 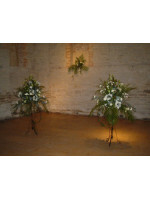 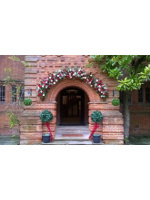 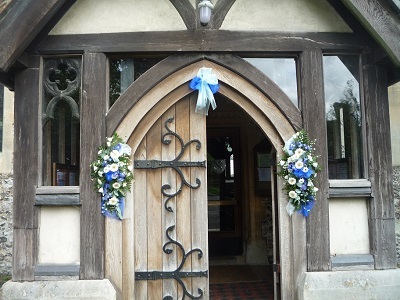 Church Wedding Flowers By Moonstones Florist, Fareham. 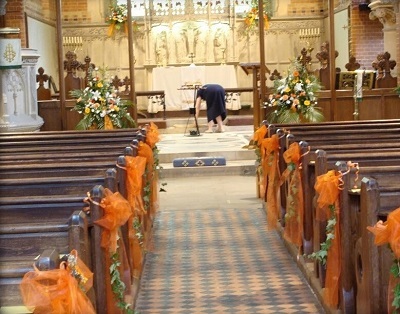 Its always a good idea to have a chat with the church organisers as to where you may have flowers as sometimes it can be quite limited. 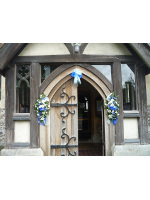 Pew ends come in all sorts of shapes and sizes so as a rule we normally contact the church personally to discuss how we will attach your design to them. 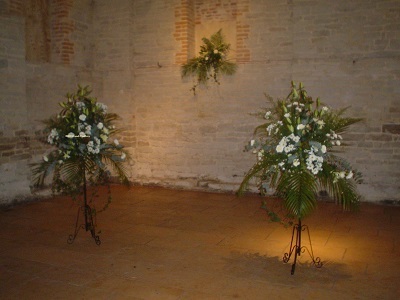 A church full of flowers will create a really romantic mood.Stunning table and hall decorations can be used as gifts for those special guests, as a memory of a truly special day.